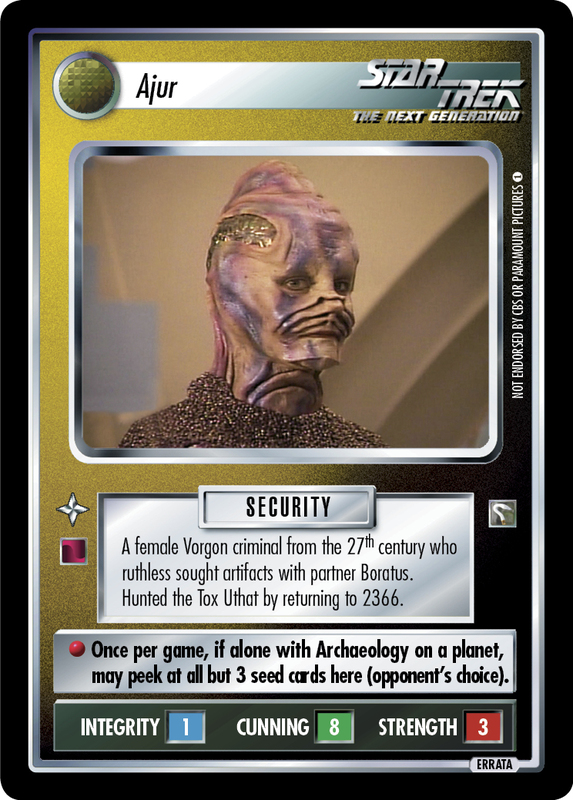 A female Vorgon criminal from the 27th century who ruthless sought artifacts with partner Boratus. Hunted the Tox Uthat by returning to 2366. Image Source: The Next Generation: "Captain's Holiday"